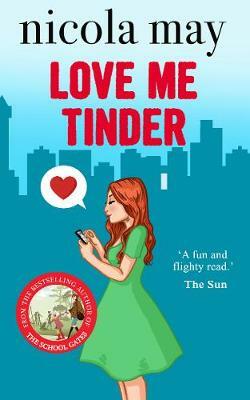 Amy Anderson has a plan: to find her `soul mate' by dating her way through the twelve signs of the zodiac. Tired of looking for love, the dreamy Piscean decides than an astrological dating agency is the only way to meet the man of her dreams. Who will finally win Amy's love? Will it be Ted the Arian photographer with a passion for ice skating, or Laurence, the Libran IT whizz kid who likes to get behind the wheel of a fast car? Or how about Capricorn Chris, the owner of Starr & Son, the dating agency? Nicola May is a bestselling author of 8 successful romantic comedy novels. Her quirky sense of humour and ability to deal with real life issues in a comedic way has won her a steady fan base worldwide. Her books, The School Gates and Christmas Evie won awards for Best Author Read at The Festival of Romance in 2012 and 2014 respectively and Let Love Win was nominated in 2013.